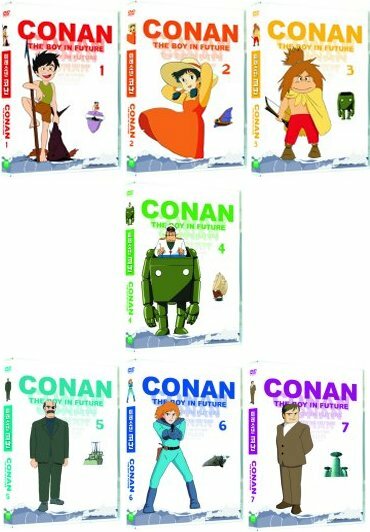 Korean Title: Mirae Sonyeon "Conan"
>>>This is a multi-unit set and the shipping cost will be adjusted to the equivalent to that of 4 DVDs. To learn more about our shipping cost, please visit our Info Page and look for shipping information. The attempt by a number of people to free [sic] to outer space failed. Their spaceships were forced back to the earth and vanished with their hopes shattered. But one of the spaceships narrowly escaped destruction and crashlanded on a small island which had miraculously survived the devastation. The crew members of the spaceship settled there, as if they were seeds sown on the island. And there this story begins.